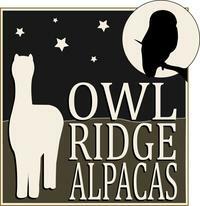 Owl Ridge Alpacas: Blog: Get out of my car! 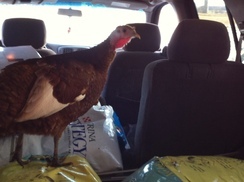 While unloading feed one afternoon - we got a surprise to find one of our Bourbon Red Turkey Hens trying to hitch a ride. 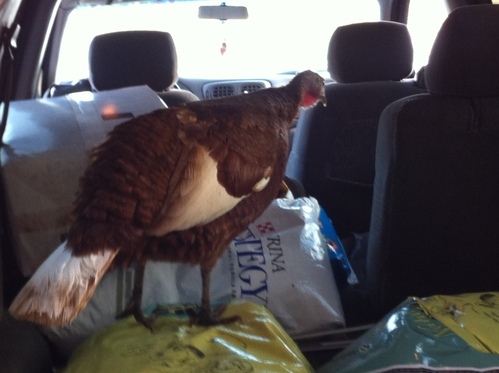 Maybe she was trying to tell us to go faster (she's standing on a bag of chicken feed), or thought she could be helpful. Honestly, my first thought was "get out of my car" as I didn't want any unwanted presents left behind. She eventually hopped out to become a trip hazard by following us into the barn while carrying 50 lb bags of feed. Never a dull moment at Owl Ridge Alpacas!